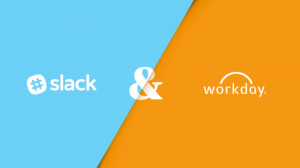 Both Slack and Workday have announced a new partnership. It will see a deeper integration between the collaboration platform and Workday applications. The announcement came in a blog by Joe KornGiebel, CTO Workday and an announcement from Slack. The seeds of this partnership were born in a hackathon arranged by Workday. It wanted to find what apps a small team could develop on its newly announced platform. The winning team was Slack. The announcement did not include the functionality that the original winning app provided. The winning app enabled users to ingest CV’s into Slack, these could be viewed and discussed on Slack before they were uploaded into Workday automatically. The aim was to speed up the recruitment process. 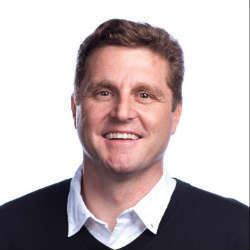 When ET spoke to Phil Wilmington, (now) Co-President of Workday, he spoke about Workday being one of five cloud of clouds that enterprises need. One of these was the collaborative cloud. This announcement deepens the integration between the general administrative cloud where Wilmington placed Workday and that cloud. What this means is that Workday functionality will be surfaced within Slack. While many employees need to access the information within Workday they do not always want to access that application, in fact, it is inefficient for them to do so. Many of them already work within Slack to collaborate with colleagues and this new strategic partnership is designed to enable employees to work more efficiently. Using the Workday conversational interface, users can ask questions within Slack and receive answers to queries direct from Workday without leaving that window. While the partnership has been announced the functionality is not yet available. Instead the Slack release states that some functionality is “coming soon”. There is also a longer term road map with a second set of features. It seems likely that the initial features will be included in Workday 30 and the later ones in Workday 31. Request and share time-off details from Slack: This is not just a Q&A but Workday will also push notifications into Slack if required. Workday will notify employees of updates or outstanding tasks relating to vacation requests. Employees will also be able to ask how many days they have unallocated. How rich the functionality will be is not yet clear. Whether the system will let an employee know whether there are conflicts with potential requests might be a future enhancement. Quickly provide peer feedback: Workday introduced feedback as a valuable tool and part of the 360 degree appraisal process some time ago. The integration will remind and allow users to deliver peer feedback within the Slack interface. Easily look up co-worker information: One of the common uses of Workday is to find information about colleagues. Either before a meeting or to find someone who might help. It will be possible using Slack to locate and display relevant information about an individual including: title, manager, department, location, organizational structure. Whether that includes an image is unclear, it wasn’t mentioned in the Slack release but it would be a significant omission if it is not included. In the future Slack and Workday are planning further integrations. These will include some administrative functionality for IT teams to manage different channels based on organisational structure. Workday will also introduce configuration settings into a wider set of functionality to push even more notifications into Slack. Slack indicates that these features are due around fall 2018, which would fall in line with Workday 30 release, although the first feature is more Slack centric and might be earlier. For the moment these integrations seem focused on Workday HCM rather than Workday Financials. While the number of requests from Slack to the Financials systems would be lower, there may be some benefits to integrating that as well. Another area that Workday and Slack should consider integration for is the Workday Student edition. Slack is often used by students to collaborate on projects. For Workday this would demonstrate to the next generation of buyers that they embrace modern user interface tools. Slack is rapidly expanding its extended ecosystem. Recent integrations include Mavenlink PSA, QuickBooks and BigTime. The Workday and QuickBooks integrations are the most significant by volume and allows Slack entrance into both the SME and global enterprise markets. For customers who use Slack as their collaboration tool it brings its vision of “Where work happens” closer to reality. Next articleIs GDPR blockchain’s Brexit?